Knock the party out of the park with this Bull Piñata. 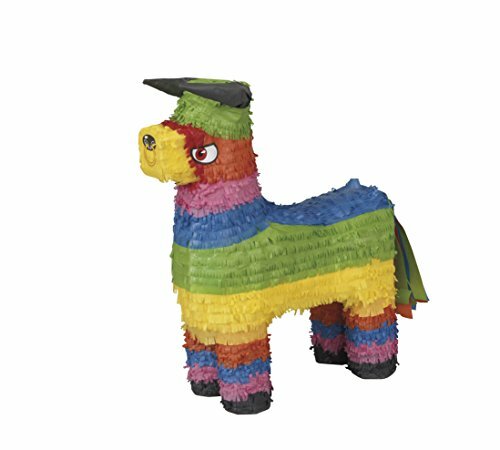 With a rainbow colored design, this bull-shaped piñata is sure to add some excitement to any birthday party. Fill this with up to 2 pounds of candy and small toys (sold separately) and have party guests take turns whacking the piñata until it breaks open and the party favors pour out. Birthday pinata measures 18" x 15"